I've been waiting a long time to be able to share this guest post from my husband and creative partner, Gavin. When being interviewed about my books I frequently say that there would be no books if it wasn't for Gavin and his 'behind the scenes' role in their creation. And this has never been more true than with the Vintage Shetland Project. The project has taken over four years, without Gavin it would probably have taken another five! For those of you who don't know Gavin, he is a graphic artist and designer who worked for over 20 years in the print and design industry before I kidnapped him and lured him into the knitting world to be my partner, continuing to use his graphic design skills to create our self-published books. We both split our lives between the business and the farm and have often struggled financially, however Gavin has never suggested we stop doing what we do, he has never tried to stop me pursuing my dreams, my desire to create better and better books and my endless quest for more research opportunities. He has never once said four years research was too long, too expensive, or self-indulgent. He is endlessly supportive, creative, inventive and tireless and without him I could not do what I do. So over to Gavin who has written a fabulous piece explaining his significant role in the Vintage Shetland Project. "When Susan sets out on the process of starting a new book it isn't long before it turns into a joint effort, with myself coming on board for the graphic art side of the project. My role is the creation and layout of the books - preparing the pattern text for styling and typography, editing the photos for colour balance, applying the colour correction needed, preparing any diagrams, schematics and charts, and lastly when everything is complete and ready to go, I create the press-ready CMYK files that will be sent to the printers. At the early stages of the Vintage Shetland Project was the process of 'reading the garments'. This involved Susan closely studying the garment so as to record the construction and patterning stitch for stitch. 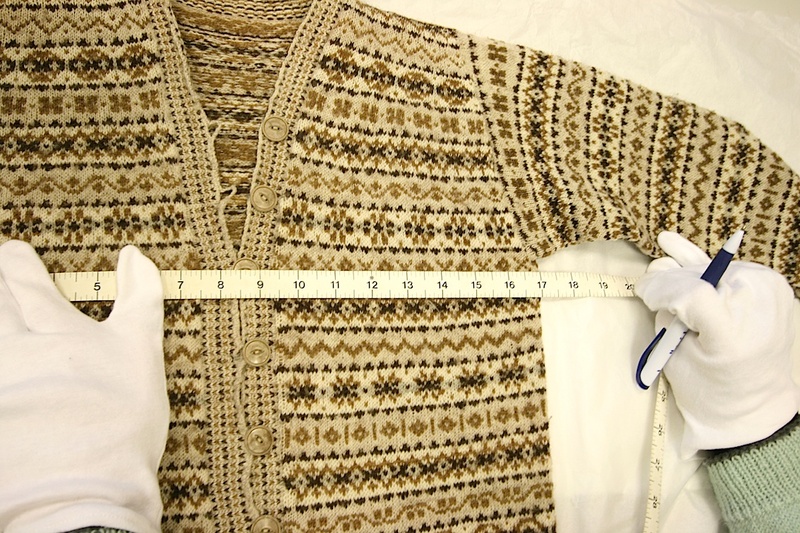 We needed a way to transcribe the colour patterns of the many motifs that make up a single Fair Isle sweater. A daunting task in itself, but magnified hugely when the idea of creating a book full of these garments was decided upon. 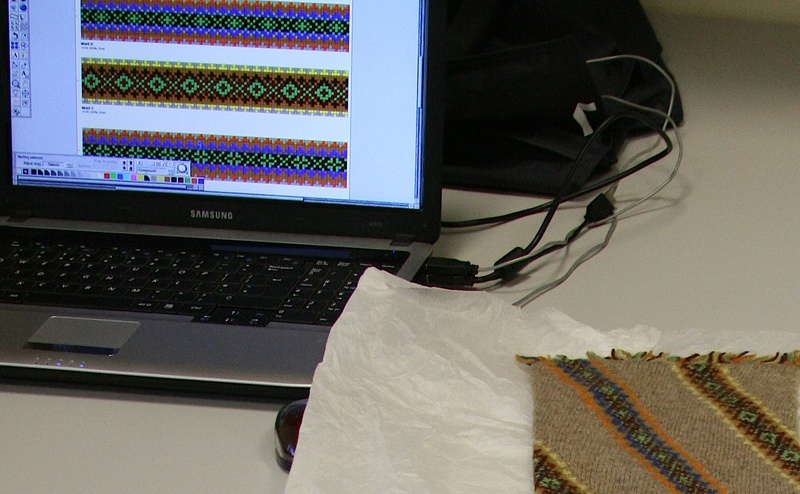 After some discussion we came to the conclusion that the most productive method would be for Susan to analyse each stitch and dictate it's colour out loud to me, where upon I would sit at the laptop to record the result. 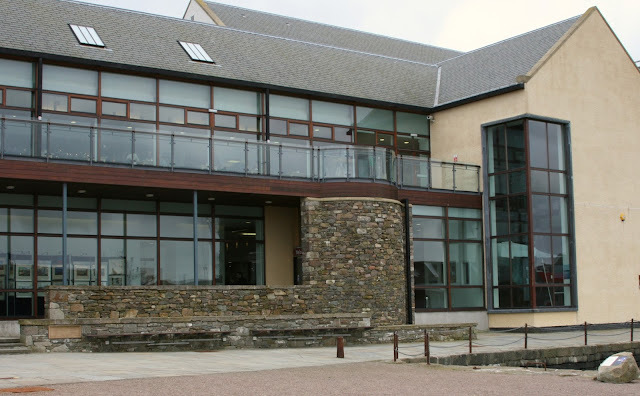 At this point it was obvious to me that I was no longer getting the holidays in Shetland that I'd envisaged - the fishing expeditions and the sightseeing trips I'd planned while Susan was to be busy working at the Shetland Museum Archive - now, I too would be 'busy' with the project. We needed to devise a clear process, so we would be able to understand and make sense of all the transcribed notes we'd taken when we came to look back on them, at a later time. This was something that I felt needed some careful thought and I had some ideas that would help in the long term. Along with my many years of graphic arts experience I've also enjoyed computer programming at a hobby level, and have found myself writing many programs to aid me in my work role, often to process photos or create images. In fact, whenever I find myself doing repetitive task at the computer I look to see if I can write a program to automate the process. It has to be said that the process of writing a program can often take more time than it would have, to have just sat there and completed the monotonous tasks that needed doing, but it's the challenge, the problem solving and the creation process that is the enjoyment of the programming - along with that 'Thank Goodness' feeling when it actually works. 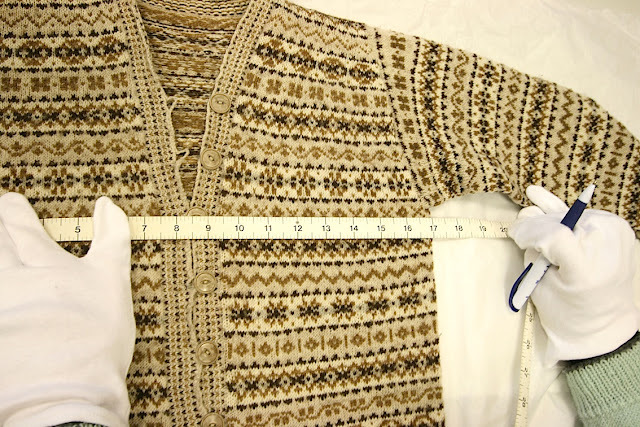 There's a whole host a ways to approach the process of copying the Fair Isle motifs in a garment. I'm sure most people will be familiar with the idea of sitting with a sheet of 'squared paper' or graph paper and a bunch of coloured pens and setting to colouring in the squares - indeed that is a process many Shetlander's have done for years and we've seen many personal collections of motif stitch patterns. Up until very recently, knitting was still taught in schools on Shetland, where children would drawn up motif charts on paper. But we needed a method that would be quicker than this. A method that would create charts that we could reproduce on a computer suitable for printing within a desktop publishing package. So a graphics package would seem like an obvious choice then, or even a knitting stitch design program - but I felt these options would be too slow and restrictive for the amount of work we had to get through. I decided upon a simple code that I could type out as we worked though each garment. That's right, the humble text editor was my choice of software for this task and a simple but well defined code that I could deal with at a later stage, and write come computer code to read it back. Looking at a selection of garments from the Museum's collection I started counting the number of different colours of yarn each one used; 4, 5, 8 and one with 10 colours. Perfect I thought (being a nerdy programmer type) 'Hexadecimal'! That would give us up to 15 different colours in one garment. For those of you that don't know (and actually want to know) hexadecimal is the name in mathematics given to base 16, also often referred to just as hex. Unlike decimal (base 10) that is represented with the characters 0 through to 9 for the units, the hexadecimal units are represented by 0 through to 9 followed by A, B, C, D, E and F to represent numbers 0 to 15. I'm sure there are some of you at this point asking 'but why hexadecimal?' (if there is, at all, anyone left reading this!) - all will be explained very soon. As you can see, one character represents one stitch. So the reason for using hexadecimal as our code meant that if we get a colour 12 it is represented with the character C, which is still a single character wide. If it was represented as the decimal number 12 it would be two characters wide (a one and a two). As well as it messing up my nice evenly arrange textual grids on screen, a '12' would be difficult later for the computer to read back. How would it know we meant colour twelve and not colour one followed by colour two. Also, computer systems and many programming languages are used to dealing with hexadecimal numbers (as it maps to binary in a more convenient way than decimal does) making it easier for the programmer to use hex than one might first expect. So off we set, on the process of reading and transcribing garments. First, Susan would write some detailed notes in her note pad about the construction, together with taking lots of measurements and jotting down as much information as possible together with sketches that would enable it to be reconstructed and made into a pattern. At the same time I would take stacks of photos. First a few images of the whole thing front then back. Then more detailed photos of the finer points such as the welt, cuffs, sleeves, collar, sleeve heads etc. Finally finishing up with a close up of each and every motif in order from the bottom up, so we had something to refer to later when we created the charts, once we were no longer in Shetland and no longer had the real thing in front of us to check against. Next came the coding process: I'd open up a new file in the text editor and make a few notes of my own, such as the garments code that the museum has assigned to it for their database records, together with a brief description and some of the same notes as Susan had made, so we could cross reference our results later. Then, studying each yarn colour we'd give it a code number and compare it with modern day shade cards to see if there was a match to currently available yarns, both in colour and weight - which would all get typed in. Starting with the first motif Susan would read out the number of the colour, stitch by stitch, beginning at the bottom right hand stitch working to the left, then up to the next row once the first row of the motif had been dictated. Meanwhile I typed the numbers into the text editor, but mine were reading from left to right, and top to bottom, which could be confusing at times when comparing our results. As many motifs were horizontally symmetrical, i.e. after the centre row the pattern would mirror itself in reverse order, we developed a system that Susan would tell me when we were on the centre row and I would type a TAB followed by a c to denote that this was the centre row. Which saved a certain amount of time. On and on we went, a motif at a time until the entire garment had been notated. Often taking two to three hours to complete one piece. Some days, we could spend the whole day in the museum archive and only get through two items. We now had a code, but a code is not much use unless it can be decoded! So I set about analysing the data we'd obtained to create a computer program to do something with it. Namely, create a coloured chart ready for the knitting process. Some say an important decision at the early phase of software development, even before the conceptual process of 'what will it do' and 'how will it do it', or the feasibility of 'can it be a marketable commercial product', is to come up with a really cool, snappy name - or at the very least a really good project code name. After all, would Photoshop be that well known if it was called 'The Painty Program'? Well, as it turned out I couldn't come up with that snappy, cool name, so Fair Isle Decoder is what it became. Anyway, back to the actual programming task: The first stage was to discover the colour codes we'd assigned. 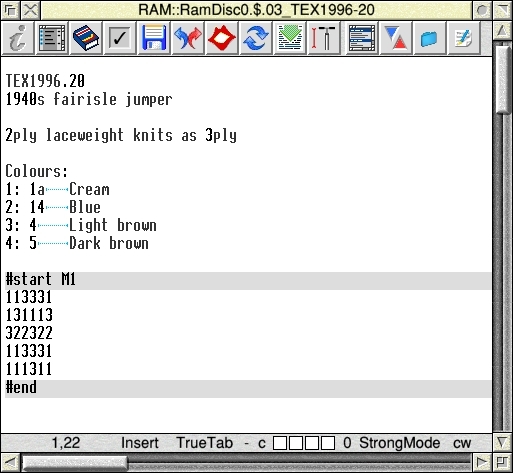 The program looks through the text file until it finds the colour references and the description of the colour, which it display in a window in order. But a very basic colour description such as light blue, isn't much use, so alongside each name is a coloured icon that allows the exact colour to be set for that yarn. When all the desired colours have been set the colour definitions can be stored so that they are remembered for future use, or edited at any time. The final task is to work through the file and draw the chart for each motif that's been transcribed. It finds the start of the motif which in the file is denoted with the text #start followed by the description or title of the motif that we've given it - usually a simple M1 for the first motif or Peerie etc. It reads each line in order until it finds the text '#end'. 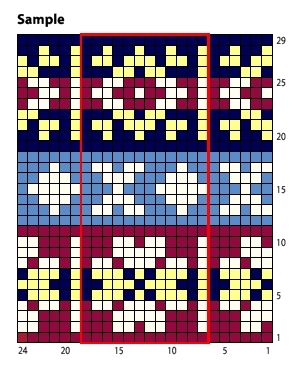 Each line is then analysed character by character (stitch by stitch) and each colour number is converted into the appropriate coloured square in the chart, remembering to reverse the order from left to right - top to bottom into the knitting chart of right to left - bottom to top. If it discovers a 'TAB c' at the end of a line then it has to treat this as the centre row and reproduce each of the previous rows in reverse order. There was one last thing to add to the program and that is the ability to create a key for the charts. This draws the colour square with the name of the yarn colour along side. It took a fair amount programming time to get to this stage, but there we have it, each motif is produced as a colour chart, in a vector graphics format, that can be further edited in a standard graphics package. Job done! The next stage in the evolutionary process of taking the information we had gathered thus far and turning it into a modern multi-sized knitting pattern now starts to get complicated. That's right, all that previous work turned out to be the easy bit. Yes, very time consuming, long winded, painstakingly laborious, hard on the eyes and extremely tiring by the end of each day, but nevertheless a lot less problematic than what was to follow, and I have to admit, that on other projects and books Susan has done I've never been too much involved with this stage. I am of course referring to process of multi-sizing. During this process a number of the garments brought about some interesting and difficult mathematical problems, inherent because they were never intended to be re-sized. They were personal creations, one offs, even possibly, somebody's own knitting experiment. To investigate how to solve some of these mathematical conundrums we decided we would test things by creating the piece in a virtual way. I took the charts that had been created by my program and dropped them into a graphics package, there I repeated them across the page and arranged each motif and peerie in their correct order to create a virtual fabric of stitches that we could manipulate, cutting away and adding stitches where needed, inserting and removing whole rows until we achieved the sizes required and still keep the integrity of the original garment. This process worked very well, but it was a lengthy procedure and took quite some time to move sections around just to insert the odd row here and there. It prompted me to think about how the process could be done differently, in a way that could easily be changed and edited but reproduced easily if, for example, we decided to change one of the colours in the charts. The process of creating these full page graphics of all the motifs together, with me at the controls of the graphics package and Susan working from her mathematical calculations, telling me how many motifs across, the number of rows to add of plain colour between between set of motifs made me realise that what was actually needed was a textual 'description' of how it should look, that could be easily edited and then adapted for testing other sizes. My Fair Isle Decoder program already had most of the code I needed. It could produce individual charts and a key, so it just needed some extra method of being told how to draw everything required all on one page. Trying to describe how a page full of charts are positioned could possibly be a very lengthy and wordy process, but to me (being the nerdy computer type that I am), an obvious way to approach it is to handle it like it's a computer program itself. Or more accurately a scripting language. And so the 'Visualiser Script' was added to my Fair Isle Decoder. A whole host of functions allow some very complex design to be quickly and easily constructed. I'm constantly adding more functions when I come across a need for it to do something extra. 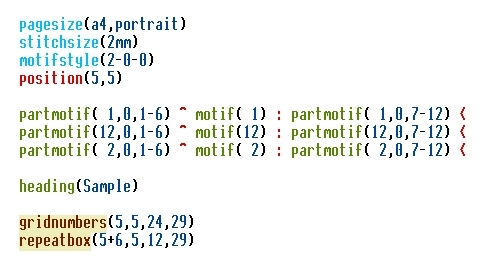 motif() - draws a motif, with the option of it being repeated many times. 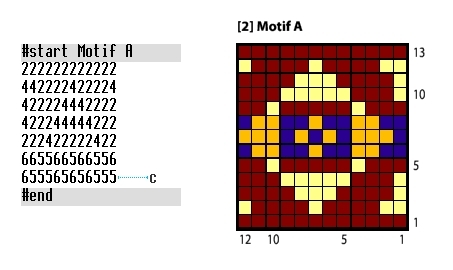 partmotif() - draws just a part of a motif, with full control over which part is drawn. 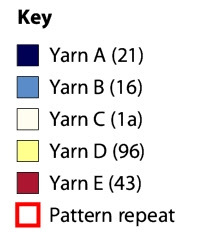 plain() - draws a block of a single plain yarn colour for a given number of stitches and rows. repeatbox(), text(), line(), position(), arrow(), key(). The emphasis behind it all, is that it can produce a graphic image that is ready to be included in the book, at a quality that's ready for printing, and that no further editing needs to be done in a graphics package before it can be used. To date, the entire program stands at a total of 14,583 lines of computer code, an untold number of hours and still no fishing!" 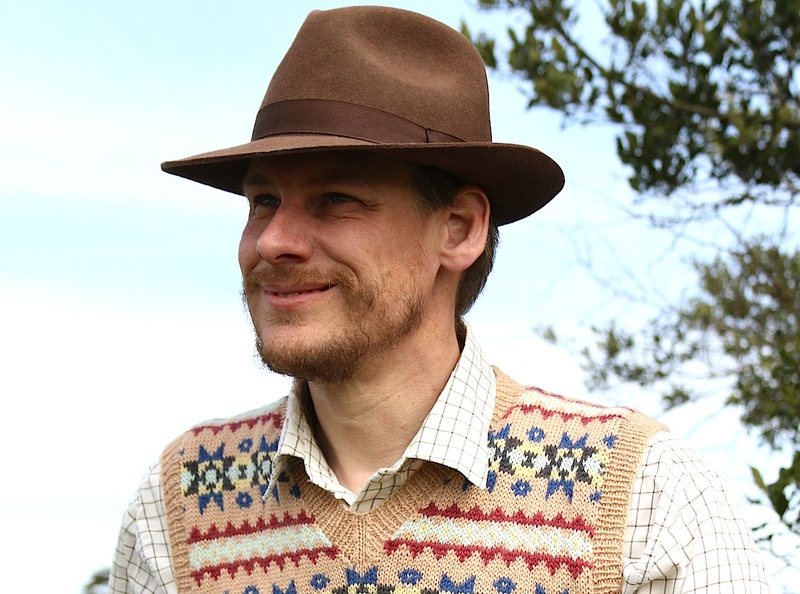 I'm sure you'll agree with me that Gavin's programme is in itself a truly amazing development and without it the progress on the Vintage Shetland Project would have been infinitely slower and Gavin really deserves a huge, resounding cheer from us all! If you would like to support the Vintage Shetland Project and pre-order your copy of the book please go to my pubslush page. The campaign runs for another 2 weeks and is the only way to be sure of getting a copy of the book before Christmas. A wee while ago whilst on a trip up to Edinburgh I went to visit the lovely Jess of Ginger Twist Studio. Jess had agreed to dye some very special shades of Fenella for me to use in the Vintage Shetland Project. I originally created Fenella after struggling to get a tension (gauge) match with modern yarns. Fenella knits to the same tension as the elusive vintage 3 ply that some of the garments in the museum are knitted in. As my goal was always to try and match the tension of the period garments it was important to me to find a yarn that would do this. The additional complication was of course if I did find a yarn where the tension matched, it invariably didn't have the range of colours I needed. So the most sensible course of action seemed to be to have my own yarn dyed in the necessary colours. 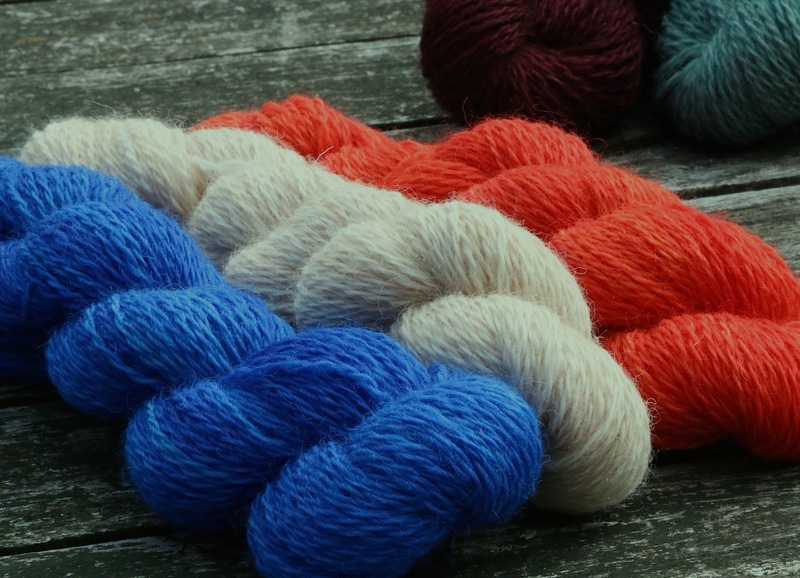 In the first instance I thought I needed 17 colours and worked with a dyer in the Scottish Borders to recreate these shades in Fenella. On the Roses Cardigan below you can see 10 of the very distinct colours being used in one garment. This cardigan alone uses Myristica, Chalk, Limoncello, Wheaten, Roman Plaster, Phthalo, Constance Spry, Myrtle, Delicot and Atomic Red. You can see more of the Rose Cardigan on bygumbygolly's blog. When some sample pieces came back that just wouldn't knit up to the same tension as the original item I realised I would need some extra colours. So I decided to talk to Jess to see if she would consider hand dyeing them for me. She very, very kindly agreed and spent some time perfectly matching the colours up to those required. Then the big day came and I joined her at her dye studio to start dyeing the first batch of these very special hand dyed skeins. Charlie, my film-maker daughter, came with us and put together this wonderful little film showing our time in the dye room. Jess and Susan have fun in the dye studio from Susan Crawford Vintage on Vimeo. And these are the eight fabulous colours Jess dyed for me. As yet to be 'christened' these first three are indigo, oatmeal and orange. 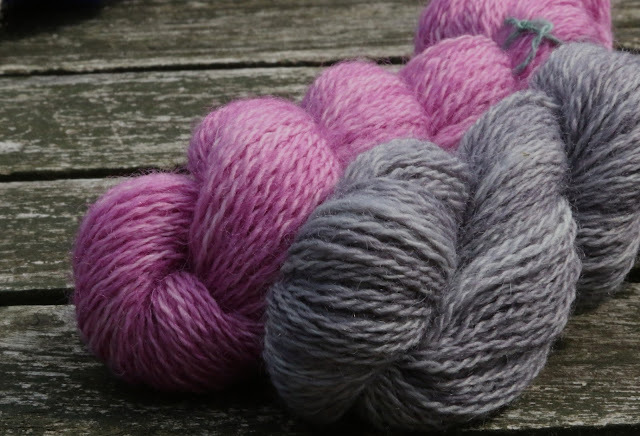 These two are a lovely deep rose pink and a steel grey. These final three have actually been christened and they are, Verdigris, Caramel and Sloe Gin. 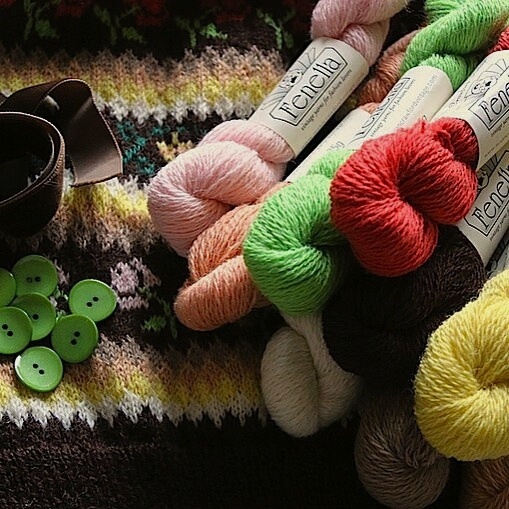 Without Fenella the Vintage Shetland Project would not have been possible and without Jess I couldn't have got these last precious eight colours which would have meant leaving some fabulous things out of the book. So thank you Fenella and thank you Jess. The campaign is going tremendously well and I am so grateful for all the support this very special project is receiving. If you would like to try Fenella there are some reward options available which will deliver Fenella to your door with your book, including a small number of yarn kits to knit the fabulous Roses Cardigan shown above. Well what a week! I don’t think I’ve ever experienced a week of such incredible highs but also such terrible lows. At 8am last Thursday morning my crowd funding appeal for the Vintage Shetland Project launched on pubslush. I wasn’t sure what to expect and really didn’t anticipate what followed over the subsequent 48 hours. The whole online knitting world seemed to join in tweeting and retweeting about the campaign. Facebook and instagram also went crazy. And unbelievably within those 48 hours I reached my initial target of £12,000. As I wrote in my previous blog post I have been completely overwhelmed by the response and support the knitting community has given me and the project and I am incredibly grateful. There are still a further 21 days of the campaign remaining with some fabulous folk involved in the blog tour so do please keep following the tour as they each reveal more of the pieces being featured in the book. And look out for a special treat on Friday afternoon! As I type, I have actually just had my 400th supporter. I really can't thank you all enough. On Sunday night we finally had the right combination of weather and availability to get our sheep sheared. This was the moment I had been waiting for since we first brought our first Shetlands to the farm. Amongst our 25 sheep we had 15 shearlings so their fleeces would be the best they were ever going to be. The Shetlands were actually surprisingly well behaved but our four Zwartbles freed of their enormous winter fleeces felt the need to run and jump and play and generally misbehave. Several hours later we had the compensation of 5 beautiful sacks of freshly sheared fleece in front of us. I then had a marvellous time on Monday morning, recording a podcast interview with the fabulous Jo of Shiny Bees - a fellow northern lass. We had a great time waxing nostalgically about the night clubs of our youth and then got on to the serious business of questions and answers. I’m not normally very comfortable being interviewed - as I’ve probably mentioned before I’m convinced I sound like Cilla Black - but Jo put me completely at ease and in the end we conversed for over an hour. Just click on the link below if you fancy a listen. I’m reliably informed I’m more Paul O’Grady than Cilla Black!! And then the unthinkable happened. From outside the farmhouse we heard an enormous bang and Gavin and I both rushed to the kitchen where the sound seemed to be coming from. As we looked through the windows we could see nothing but dense, grey smoke, blocking out everything in the farm yard below. As we struggled to make sense of what had happened we suddenly spotted flames shooting out of the corrugated barn at the end of the yard. Aware that the barn contained hay I ran immediately to the telephone and rang the emergancy services. Gavin went out through our front door to avoid approaching the flames head on to see if he could observe things better. When I joined him the blaze seemed to be getting worse as smoke and flame forced their way through the barn roof. 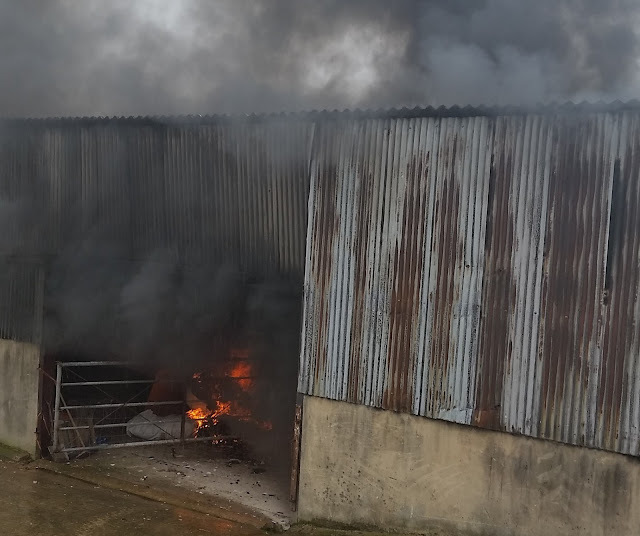 As the plumes went higher we could see further into the barn and we slowly realised that a quad bike garaged temporarily in the barn was ablaze. Only a scant couple of feet away were my sacks of fleece, the sacks themselves now alight. Gavin considered trying to rescue the sacks but the heat was so intense and the flames so fierce that he would have put his life at risk going any nearer. The fire brigade arrived in under 15 minutes and within a couple more were at work fighting the blaze. After what seemed like an eternity but in reality was probably more like 45 minutes the firemen began to reel in the hoses. The fire was out. Another fireman took thermal image readings, surveyed the damage, asked some questions and advised us that the quad bike had exploded and caused the fire. 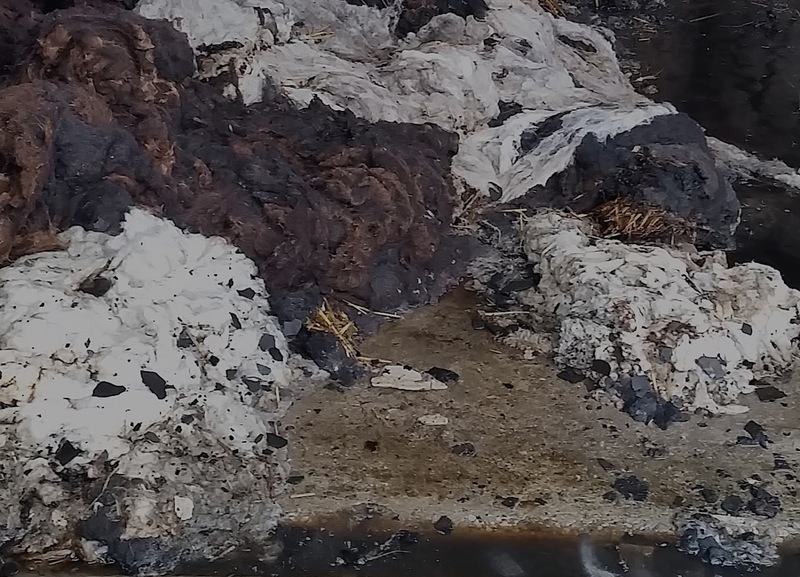 The barn roof was burnt through, the electrics melted, the quad bike nothing more than a metal shell and my precious fleeces were in a sodden, felted heap on the floor encrusted with melted plastic. I was distraught. But slowly realisation began to dawn on me. Only the night before me, Gavin and 25 sheep had all been inside the barn alongside the quad bike. And earlier that day we had again been in there sorting out the fleece. We had actually been very, very lucky. Today I received a message from a dear friend and expert spinner who is going to try and create some yarn from the remnants of my fleece. If we even get just one skein out of it, what a very special skein it will be and a reminder of just how fortunate we were on such a dreadful day. Wow! Its amazing. It really is amazing. I can’t believe it. This is all I have been capable of saying for the last 24 hours since my crowdfunding appeal for the Vintage Shetland Project hit my initial target of £12,000. I had hoped, hoped really really hard, that the target would be reached and maybe passed but I had expected it be a long, slow process, taking most of the 30 days to achieve its aim. I never in all my wildest dreams even considered the scenario that has actually unfolded. I cannot begin to tell you how much it means to me that other knitters appreciate the project, understand and acknowledge the work and time that has and still is involved, and have been prepared to support my campaign. When you spend over 4 years working on something, you, rightly or wrongly, begin to think that people must be sick of hearing about a project that is just going on and on. It such an overwhelming relief to know that so many of you ‘get it’. In fact, ‘overwhelming’ best describes my feelings over these last 24 hours. I am really struggling to put into words how I feel. Overwhelmed is the only word that sums it up! So is it all over now, or do I still need your support? I really, really still do. The initial target of £12,000 was to cover the printing of the books and hopefully also go some way to paying for the final photoshoot. There are still many other aspects of the project that need paying for that I didn’t include. Pay for more of the photoshoot costs. Pay for a second photographer to take ‘behind the scenes’ footage of the photoshoot to enhance the book further. Have an additional 'set' of sample garments made to enable me to have trunk shows to promote the Project and explain to people the story behind it. Help pay for additional research to make the book even better. Help pay for image licencing so I can increase the number of historical images included in the book. Basically, I want to continue making the book better and better, more complete, more beautiful, to enhance the reading and ‘using’ experience for each and every funder. There are more things I will need to look into if funding continues to grow. Ensuring an efficient distribution system so that everyone gets their books promptly is just one of these things, and with this in mind I have had to make a decision. Only people ‘ordering’ their book through the crowd funder will be guaranteed of their book being despatched prior to Christmas. I won’t open up general pre-orders on my website until the book is off to the printers and I won’t be able to promise pre-Christmas delivery on these orders. So if you would like your book for Christmas the only way to be sure is to use the crowd funder. Don’t forget the crowd funder closes on the 8th August. By doing it this way I should be able to handle the work load and not risk letting people down. Finally I just want to thank everyone once again for all the incredible support I have received. From contributors, tweeters, instagrammers, facebookers, all my fellow blog tour participants and in particular, several amazing women who I will write about in another post, without whom this fund raiser would absolutely not have happened. In fact, everyone in the great big beautiful world of knitting. Thank you - and good night! Announcing the Vintage Shetland Project Blog Tour! I am delighted to be able to announce the details of an amazing blog tour to celebrate and support the Vintage Shetland Project Crowdfunding Campaign. I can't quite believe the number of people who have offered to be involved. 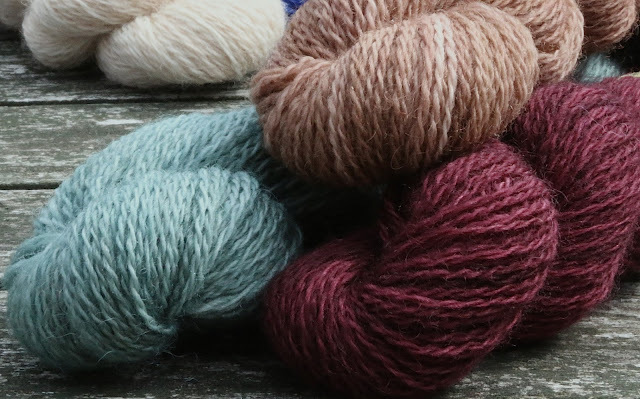 The tour is called to "To Shetland and Back" and calls on a host of wonderful knitty friends who will each reveal their favourite project from the book on their post. You can see the full list of participants below. Please do visit their blogs to see more of the beautiful hand knits that will feature in the book. There will also be lots of other things happening here and on other people’s blogs and podcasts to launch the campaign and I’ll do my best to keep you updated of each and every one. Our first visit today is to the wonderful Louise Scollay in Shetland, otherwise known as Knit British, who has single handedly got this campaign organised, booked and ensured that I haven’t lost steam or faith throughout the process. I really can’t thank Louise enough for all the work she has done to ensure the campaign and the Vintage Shetland Project goes ahead. She is truly amazing! Louise and I have some other podcasted related goodies up our sleeve for later in the month but for now please do pop over to knitbritish. So so many exciting things in store! I am very, very, very, very excited to announce the launch of my first ever crowdfunding campaign to raise funds for the printing of the Vintage Shetland Project. I have agonised long and hard about taking the crowdfunding route as its not something I have done before nor would I normally think about using this particular method of fund raising. However after taking part in Donna Druchunas’ blog tour for her forthcoming book, I realised how I could offer people interested in the project so much more by using a crowdfunding platform rather than offering straight forward pre-orders. 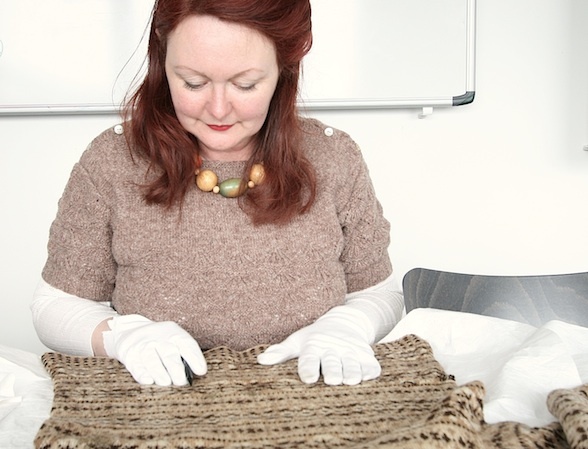 The Vintage Shetland Project is the culmination of several years research I have carried out at the Shetland Museum archive and on Shetland with the help and support of Carol Christiansen, Curator at the Shetland Museum. Through this research I have chosen 25 items and have transcribed their construction, stitch by stitch, row by row, and have then recreated them for the Vintage Shetland Project. These have then been developed into comprehensive multi-sized knitting patterns, complete with instructions, technical advice and of course, beautiful photos all shot in Shetland. The story behind each hand knit is also told throughout the book along with a fascinating chapter about the four year project and the work involved. The project has become a huge part of my life and has involved numerous journeys to Shetland to work in the archive, the creation of our own custom-built software to 'translate' my transcriptions and even the manufacture of a yarn brand 'Fenella' to match exactly some of the vintage garment weights and colours. The book will be A4 in size with a hard cover to match A Stitch in Time volume 1 and will have approximately 250 pages. The book will retail at £25.00 (plus P&P). So how do you get to be one of the first people to get hold of the book? There is much more detail about the book here along with a short extract and most importantly around 20 different rewards to choose from - yarn rewards, to kits to make your own Vintage Shetland garments, experiences such as tea with me at Shetland Wool Week, a work shop on the farm or a chance to spend the afternoon going through my pattern archive and VIP invitations to the Vintage Shetland book launch and not forgetting of course, print books and ebooks. The campaign will run for 30 days and I hope to raise £12,000 to cover the printing costs for this very special book. To celebrate and support the launch of the campaign I have put together a fabulous blog tour “To Shetland and Back” with a host of wonderful knitty friends revealing their favourite projects from the book with each post. 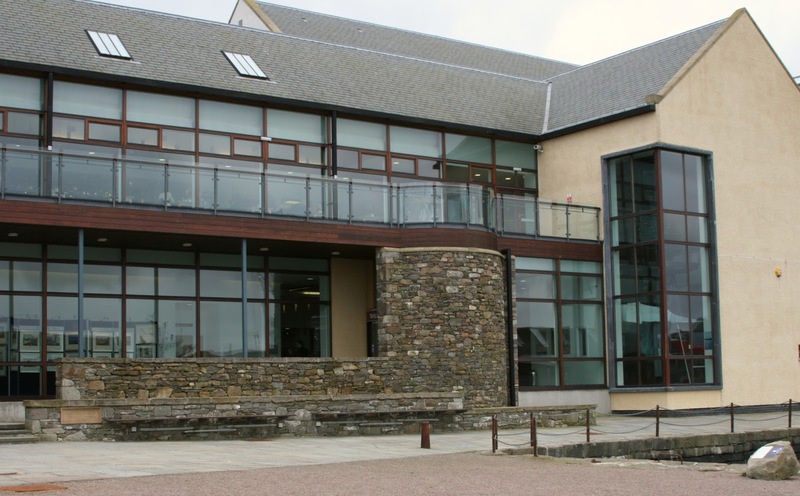 The tour starts in Shetland, meanders around the world, stopping back at Shetland now and again, and finally ends in Shetland with Donna Smith, patron of Shetland Wool Week. Each participant will be sharing a project from the book so you will get to see more of what is in the book. There will also be other ad-hoc podcast appearances and other blog posts throughout the month and if you follow me on instagram I will be posting a Vintage Shetland Project image each day of the campaign. Do pop back to the blog at 12.30 today for a full list of the blog tour and an introduction to the first stop on the blog tour. 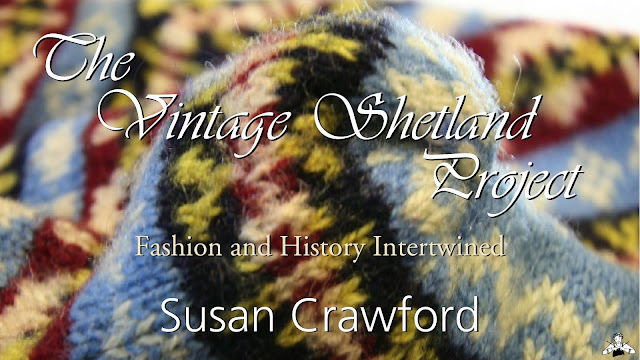 "Fashion and history intertwine in the Vintage Shetland Project as Susan Crawford recreates and explores cherished pieces from Shetland's rich knitting heritage"
Thank you so much and I do hope you will be able to support the campaign.